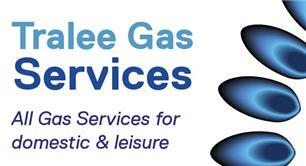 Tralee Gas Services - Central Heating Engineer based in Benderloch, Argyll. We are your local one stop shop for all your Gas & Heating requirements. Our engineers operate throughout the West Highlands of Scotland ranging from; Oban to Perth and Campbell Town to Invergarry including all areas inbetween. We are also available to cover the Islands and willing to travel further depending on work required. We cater for any domestic & small commercial works including installations, servicing and repairs for homeowners, businesses, landlords & letting agents. We complete gas and heating installations from plans to completion ensuring you as the customer are set completely at ease and are confident with the work arrangement. We also cater for small plumbing repairs. Gas Safe Qualified to work on: Natural Gas, LPG, Oil and Commercial Appliances. We can Install, Repair, Service and Maintain any Boiler, Fire, cooker, Hob, Space Heater and all other appliances. We specialise in all aspects of heating and offer a no obligation, free quotation service. All electrical work is carried out by select registered installer. We are fully insured and our company always provides high-quality workmanship with all of our work guaranteed for a minimum 12 months. Thank you for taking the time to look over our page and considering us to carry out your work. From Oban to Perth and Campbell Town to Invergarry (including all areas in between) We are also willing to travel further depending on the job specifications.